This free monthly report on current planetary influences and how they shape our inner and outer worlds is available exclusively to subscribers. To subscribe just enter your email using the link below or in the sidebar. 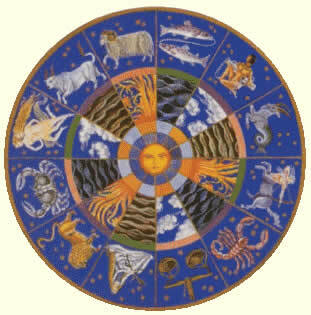 A brief astrological history: Astrology is the study of how the movement of the planets affects humans. 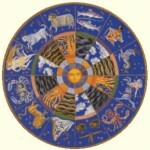 In ancient times, astrology was used by kings and nations to predict the outcome of wars and other future events. It was assumed that one’s fate was set in stone, and astrologers used the horoscope, now usually called the birthchart, in order to divine the future. More recently, astrology has been used as a psychological tool to explain behavior patterns and identify strengths and weaknesses. With the growing interest in and awareness of transformational consciousness, we are learning how astrology can reveal the tools to maximize our own evolution from the limits of our personality into a more fully integrated and conscious being. How does astrology work? There are many theories about why astrology works, but none of them are scientifically provable. However, the proof as they say is in the pudding, and the system is incredibly accurate. Astrology looks at our solar system from the viewpoint of the ancients, with the earth being in the center and the sun, moon and other planets orbiting around us. It is a “geocentric” or “earth centered” system. For this reason it is not astronomically correct. Each planet (including the Sun and Moon) represents a different energy or function, and the sign that the planet falls in tells us the way that function operates in the individual birthchart, or on a more global level. For more details, visit the Planets page. The angles that the planets make to each other (called “aspects”) describe the way those energies or functions work together. The “hard angle aspects” include the squares (90 degrees) and oppositions (180 degrees), and are the challenging aspects. These planets are in conflict or tension with each other and can create difficult situations. However, this tension and conflict is what generates the energy for change and transformation and so they should not be considered “bad.” Harmonious aspects are the sextiles (60 degrees) and trines (120 degrees). These aspects facilitate change and are much more comfortable; however, they can also lead to missed opportunities due to the complacency that can result, so they should not necessarily be considered “good.” When two or more planets are next to each other (0 degree angle) they are said to be “conjunct.” Whether they work well together or not depends on the nature of the planets and the sign that the planet falls in. What does Planetary Illuminations report? Planetary Illuminations reports the current position of the planets and their interaction with each other at the current time. The dances of the planets creates different energy climates that affect us in various ways. Identifying these climates helps to identify trends on a global level as well as a personal level. These are called “transits.” The extent to which these dynamics will affect us personally will depend on our individual birthchart and the position of our own planets. Sign up for your own subscription to Planetary Illuminations by entering your email below and receive a monthly report with a translation into easy to understand language.